Well in my previous articles I have writing about a recession factor which is now becoming prominent. In my research trying to give signal of the financial and economic collapses which are coming to various economies which are significant threat to the world economy. 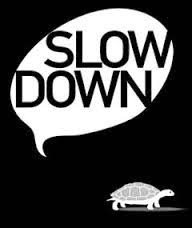 The slowdown of the world economy has come off really and the recession phase is going to begin as per the indications of the various indexes across the Globe. China's HSBC/Markit PMI touching a six-month trough of 50.0. The official version was scarcely better, slipping to 50.3 in November from October's 50.8. Brazilian manufacturing activity shrank in November for the seventh time in eight months, with the Markit/HSBC PMI dropping to 48.7 in November from 49.1 in October. US consumer confidence index fell to 88.7 in November from a downwardly revised 94.1 the month before. The U.S. manufacturing sector slowed in November to its lowest rate of growth since January, according to Markit, with the final November PMI falling to 54.8 from October's final reading of 55.9. Japan's economy slipped into recession in the third quarter as the impact of a hike in sales taxes lingered longer than anyone expected. I am having writing very aggressively about china since 2008 and in between I shared the article about the transition phase of the economy from export to domestic consumption based economy. We have been hearing the story that Chinese economy is getting slow down but we dig further to find out where the slowdown is coming and how even after such strong stimulus package after 2008 crisis. In this year we find that the economy is turning into a nightmare for the Asian economy in the long term. The bubble of asset classes is small now as another round of liquidity might be injected in 2015 to fool the world market that growth fuel is still left within China.Unsold Inventory shows the picture of the depth of collapse. 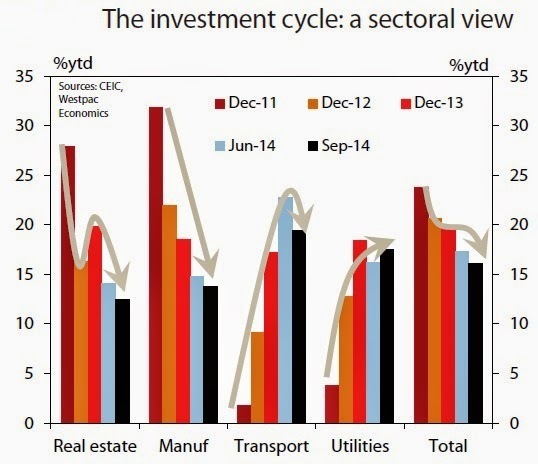 Chinese economy has wasted around $6.8 trillion in investments in the last 4 years. Well we need to figure out how big is this? $ 6.8 trillion -which is two years of output for the entire German economy. It's more than four times as much as is invested in S&P 500 index funds. Half of the investments between 2009 and 2013 have created the problem. Well the investments have been into such projects (infrastructure) that is of no use to increase the GDP growth of China. The $6.8 trillion calculation was made by Xu Ce of the National Development and Reform Commission, an economic planning agency, and Wang Yuan of the Academy of Macroeconomic Research, a think-tank under the commission. The breakup of the wasted investments stands to be estimated totalled 7.9 trillion yuan in 2009; 5.4 trillion yuan in 2010; 4.7 trillion yuan in 2011; 10.6 trillion yuan in 2012; and 13.2 trillion yuan last year. That amounts to 41.8 trillion yuan over the past five years, or $6.8 trillion at the current exchange rate. In one of my recent report I depicted that China has gone very strong on government corruption and is chasing the government official’s funds. Well according to the report of National Development and Reform Commission $ 1 trillion out of this $6.8 trillion have been pocketed by the various people of the government. Combined employment by government and party organs, including government agencies and public institutions as well as party bodies, including those employed at the central, provincial, and sub-provincial level, is about 40 million. This is greater than the population of many states. The $6.8 trillion waist has been created by developing Ghost cities” lined with empty apartment blocks, abandoned highways and mothballed steel mills sprawl across China’s landscape. In short Chinese investments have become less productive for the same. China economy is not bidding higher prices for crude and this is also one of the reason behind the fall of crude prices. Further Automobile industry and steel industry in china is under sever blockage as excess production is hardly being absorbed. Further India being replaced as the next destination of Investments china is under severe threat. A year ago, a Reuters analysis of proprietary data about so-called trust loans—made by non-bank financiers which do not have to abide by the interest rate restrictions placed on the state-owned commercial bank reflected that more than 41% of all such debt issued in 2012 went to companies most likely to be using it to roll over old debt. Trust loans were the largest segment of the so-called shadow banking system in China. Hence circulation of capital into system has stopped and re-modeling of debt is the game being played to fool the world economy. Over capacity of production has resulted in turn increases of deflationary pressure, as too few companies have the pricing power to increase profits. This first chart, showing the investment cycle of China’s main industries which in total are trending down, says everything. Currently China is busy in making a proposal for another round of stimulus and this would create bubble which will burn Asian markets in the long term. Export has dried up and outflow of capital from china has increased. This is quite evident from the numbers where China’s foreign exchange reserves fell by $100bn in the third quarter – the largest drop ever, despite a trade surplus and foreign direct investment inflows. China had registered a $51bn outflow beyond the current account in the second quarter, according to balance of payments data, and September numbers suggest a $122bn outflow for the third quarter, according to Kevin Lai of Daiwa Capital Markets in Hong Kong. Injection of liquidity steroids have already began and recently the PBOC last week confirmed it pumped 769.5 billion yuan into select banks in the last two months and twice lowered the rate it pays lenders on 14-day repurchase agreements.For the past two years, President Xi Jinping has been engaged in a wide-ranging anti-corruption inquiry that has engulfed thousands of officials. This has lead many business houses to move out of China in the form of JV and Merger and Acquisition. Well next year the growth projection would be cut but to fool the world market steroids of liquidity and higher projection of consumer based consumption might be displayed. First, although corporate debt is very high by historical and international standards, household debt is very low at 25% of GDP, while government debt, at 59% of GDP including central and local government debt. In the year 2000, real estate accounted for around 5% of China’s GDP. By 2012 it rose three times to 15%, according to the IMF's calculations. It certainly did not decline in 2013 and 2014, despite Beijing working overtime in forcing a market correction. Together with construction, real estate directly accounted for 15% of 2012 GDP, a quarter of fixed-asset investment,14% of total urban employment, and nearly 20% of bank loans, according to the IMF. This chart shows in the 12 months to September housing prices got smoked across all regions – housing prices across the country have declined. 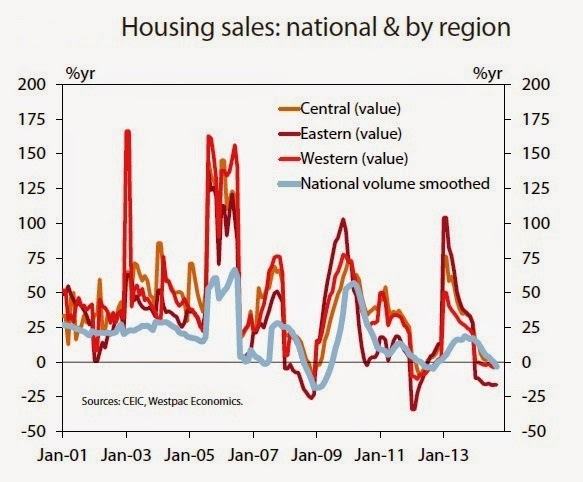 This chart shows the previous downswing in China’s housing prices as well as the sharp drop off experienced this year which Westpac said respondents to its MNI China Consumer Sentiment Survey are “now expressing considerable caution regarding the near term prospects of the market”.Hence Infrastructure base sectors are witnessing tremendous slow down as cement, steel, iron and other ancillary industries are witnessing no demand. As I said earlier that Asian markets would be prepared well to absorb one of the burst of the bubbles. But before bubbles get smart the size is too small as another rounding of liquidity to be injected into the system of china.